Carbon fiber has long been a material of choice for the world's supercars, but this year it's going into a pickup truck. 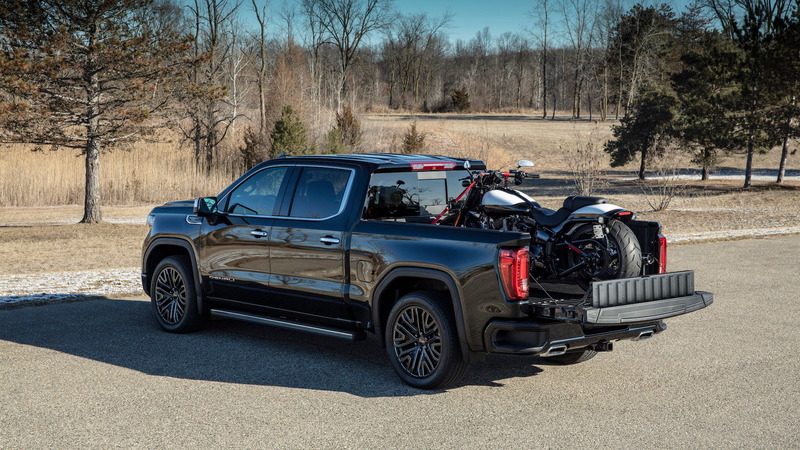 The 2019 GMC Sierra 1500 CarbonPro Edition ushers in the truck's available carbon-fiber composite bed ahead of expanded availability in the near future. 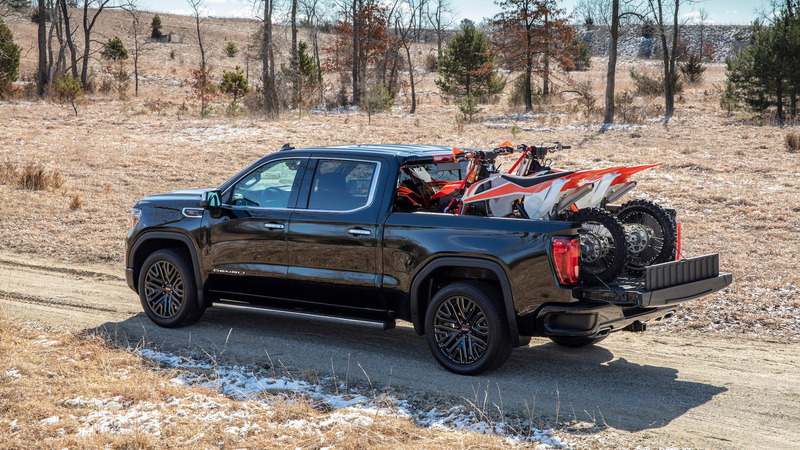 GMC said in a Thursday announcement the limited-edition pickups will be the first with the carbon-composite bed, which hosts numerous benefits according to the brand. 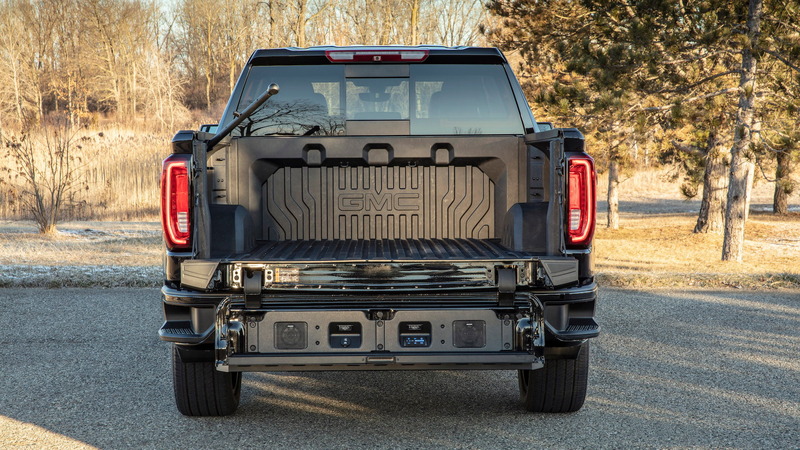 Since the carbon-fiber composite is incredibly moldable, engineers were able to push the truck's sidewalls out further and that gives the Sierra 1500 best-in-class cargo volume, claims GMC. The material also promotes traction when walking in the bed during wet weather and makes for an easier cleanup after hauling whatever may be in the back. Additionally, the CarbonPro bed does not require a bedliner since the carbon fiber is corrosion resistant. GMC said the bed went through rigorous testing that underscored its resilience in numerous instances. For example, the bed did not degrade due to high heat or vibrations and withstood the highest and lowest temperatures at test facilities in Arizona and Canada. 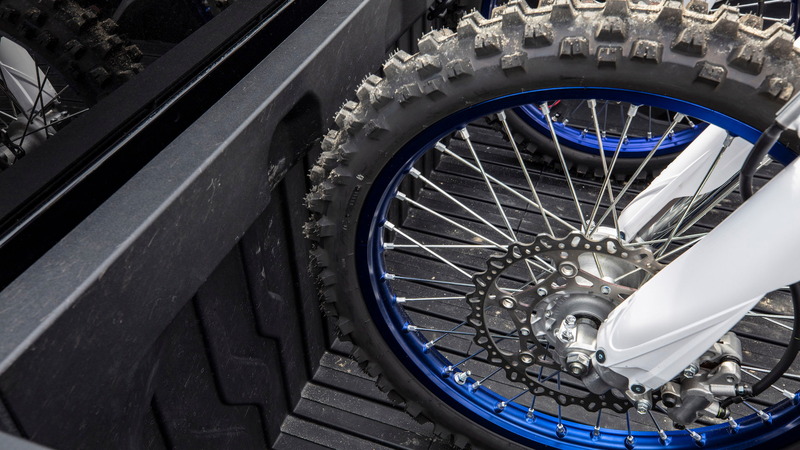 In fact, the brand even went as far as loading a snowmobile with metal studs on its track in the bed. A 250-pound rider accelerated the snowmobile at full throttle in the bed and the CarbonPro bed showed minimal scratches. Of course, the greatest benefit is lighter weight. Carbon fiber shaves about 60 pounds from the Sierra 1500. 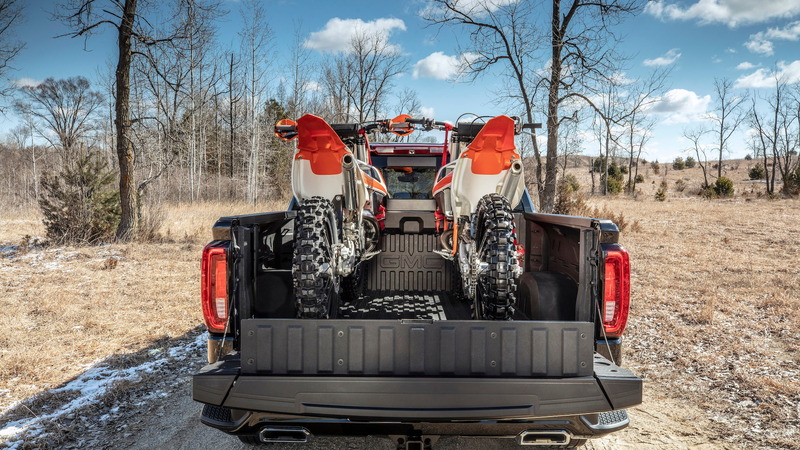 Drivers will be able to haul 59 pounds more than a standard Sierra 1500, though that varies based on equipment and options. The bed is offered only for the crew cab, short bed configuration, so the bed is 5-feet, 8-inches long. A longer bed might save more weight, but GMC doesn't offer one. The carbon-fiber bed is also coupled with the brand's MultiPro tailgate—a Swiss Army knife of a tailgate with multiple positions. Prepare to pay for carbon fiber in a pickup truck. The CarbonPro Edition will be available on Sierra Denali and AT4 models in limited numbers this year. A Sierra AT4 in crew cab and standard bed configuration starts at $55,095, while a Denali starts at $60,390. That's before the fancy CarbonPro bed. Production begins in June and the CarbonPro bed goes on sale this summer. Look for a price for the bed closer to launch and expanded availability for the 2020 model year.